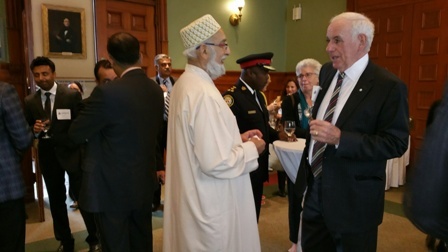 The 19th annual Eid celebrations at Queen's Park were held in Room 230, 2nd Floor of the Main Legislative building. 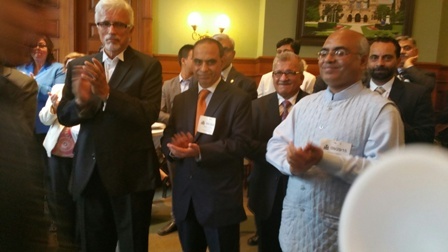 More than 30 Members of the Provincial Parliament from all political parties attended this lunch reception which was held from 11:30 A.M till 1:30 P.M.
Hon. Kathleen Wynne, Premier of Ontario was the Guest of Honour. Andrea Horvath, Leader of Ontario New Democratic Party and Patrick Brown, Leader of the Ontario Progressive Conservative Party also attended and brought greetings from their parties. Mobeen Khaja, President of APMC. and Hon. 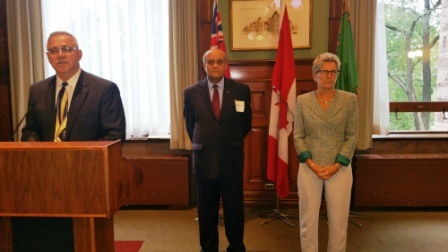 Yasir Naqvi, Minister for Community Safety and Correctional Services and Government House Leader welcomed everyone. 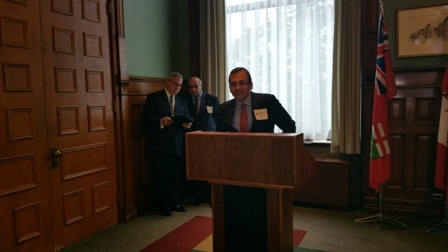 Consul Generals of Pakistan, India, Turkey, Sri Lanka and U.A.E. represented the Diplomatic Corps. 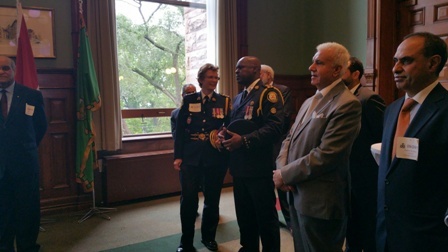 Chief Bill Blair of the Toronto Police and Deputy Chief Andre Crawford of York Regional Police Services attended with several officers from the police services. Retired Chief Armand La Barge was the Master of Ceremonies.